It’s not only Brexit the EU’s been grappling with this year, but also divisions over migration policy. A migrant sharing plan brought in by the bloc to help inundated Greece and Italy has run into problems. The four Visegrad nations – the Czech Republic, Hungary, Poland and Slovakia – voted against quotas. But they have been legally bound to accept refugees because they lost out to the majority. Still, Hungary and Poland haven’t taken anyone under the scheme. There are also concerns about Austria, with a new Chancellor, and a new coalition bringing the anti-immigration, far-right to power. So where does this leave EU migration polices, and values? 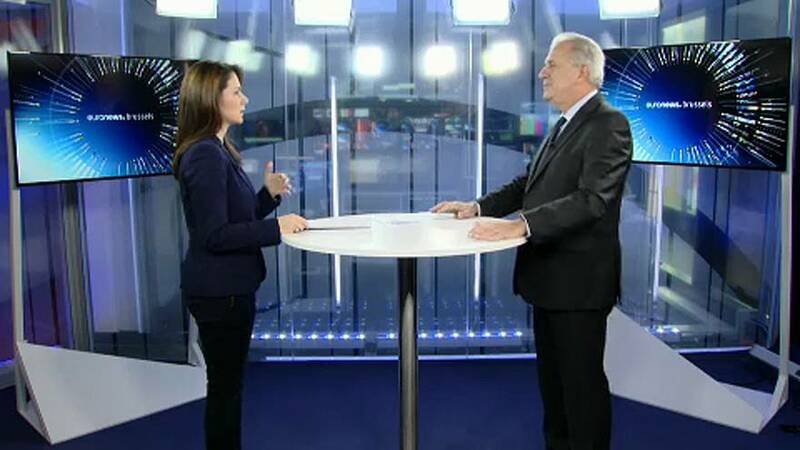 Euronews spoke to EU Migration Commissioner Dimitris Avramopoulos. Euronews: “We will come back to the sanctions, because there were some proposals saying that with the money, you know if you don’t comply with the decision of quotas whatever, you have to pay something like 250 thousand euros. What do you think about it?